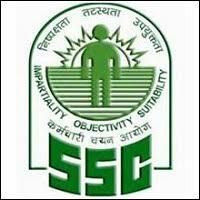 The Staff Selection Commission (SSC) will hold an open competitive Computer Based Examination for Recruitment of Sub-Inspectors (SI) in Delhi Police, Central Armed Police Forces (CAPFs) and Assistant Sub Inspectors (ASI) in CISF, in the month of June 2018 (from 04/06/2018 to 10/06/2018). Application Fee: Rs. 100/- to be paid through SBI Challan/SBI Net banking or through credit/debit cards of any bank.. No fee for SC/ ST/ PH/ Ex-Servicemen and Women candidates.